Consider this a work in progress as we document a well-known Canadian fiddler. In the early 1950s, the Rotary Club of Shelbourne, Ontario in Canada decided to hold an Old-Time Fiddler's Contest that they hoped would be an annual affair. They wanted a venue to allow fans to pick the Canadian champion fiddler. As you might expect, they drew contestants not only from across Canada, but south of the border from their neighbors. 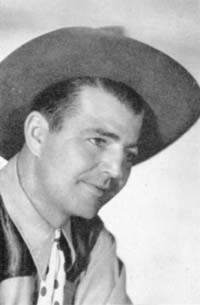 Ward Allen won that contest in 1953. But that wasn't the only Canadian fiddling title he won - he also earned No. 1 fiddler honors at the National Exhibition in Toronto in 1949. That led to an appearance at the Louisville State Fair where he again competed with other old-time fiddlers. This time he did well enough to be named one of the top ten old-time fiddlers. Ward appeared on some of the legendary Canadian shows - the CKNX Barn Dance out of Wingham, Ontario; the CHML Main Street Jamboree. He was also chosen to play a memorial program on the CBC network to pay tribute to Jim Magill, a well-known old-time fiddler who had passed away. A 1954 article indicated he was recording for Alvina Records and had a couple of releases - "CNE Breakdown" and "Maple Leaf Two-Step".